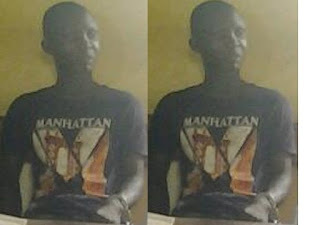 A serial robber and convicted criminal Mr. Idowu Dosumu has revealed that his wife knew he was a criminal and used to pray for him whenever he woke up early in the morning to go for operations in Lagos, PM Express has reported. Asibor also informed the court that Dosumu had been convicted and gone to prison on several occasions for the similar offence in the past. He therefore urged the court to sentence him accordingly to serve as deterrent to others who might try such offence. The court found him guilty as charged and sentenced him accordingly. Dosumu was being taken to the prison van enroute to prison, he was playing with the prison warders while announcing to them that he was coming back to prison. However, Dosumu said he had used some weapons except guns for his operations before he was moved to prison.